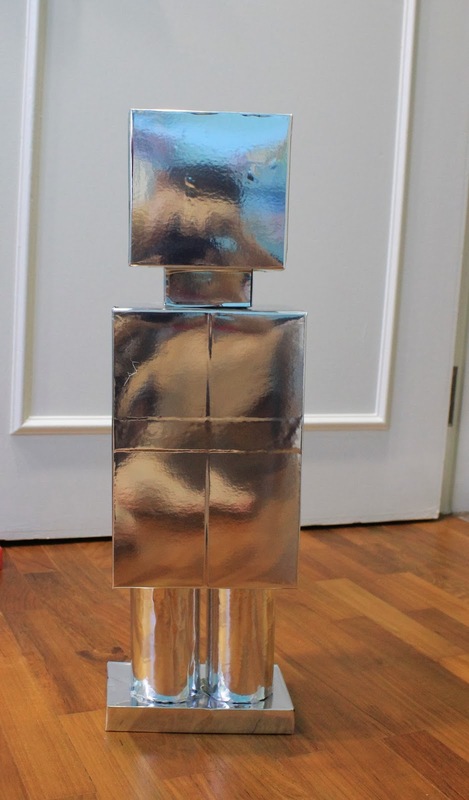 Kiddo and I embarked on a robot sculpture project using boxes that I have been collecting. Yup, I have a corner in the craft room where I keep empty boxes coz you'll never know when they will come in handy for craft projects. First we placed the head, neck, body and legs together to see if the body parts go well together. Next I covered each individual box with silver vinyl. My dad found a huge ream of silver vinyl discarded outside a warehouse and he carted it home for me. It's a huge industrial sized ream and he has been bugging me to use it. So now I have! 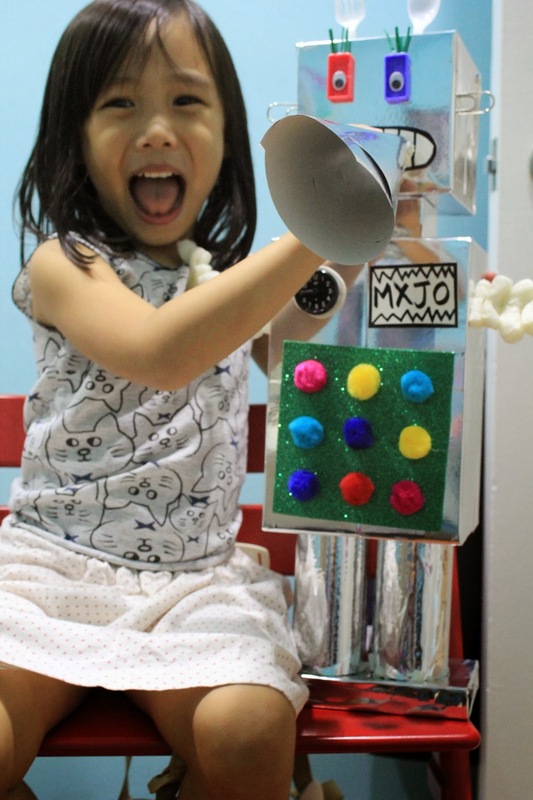 After covering each box in silver, Kiddo and I added hot glue and stuck everything together. 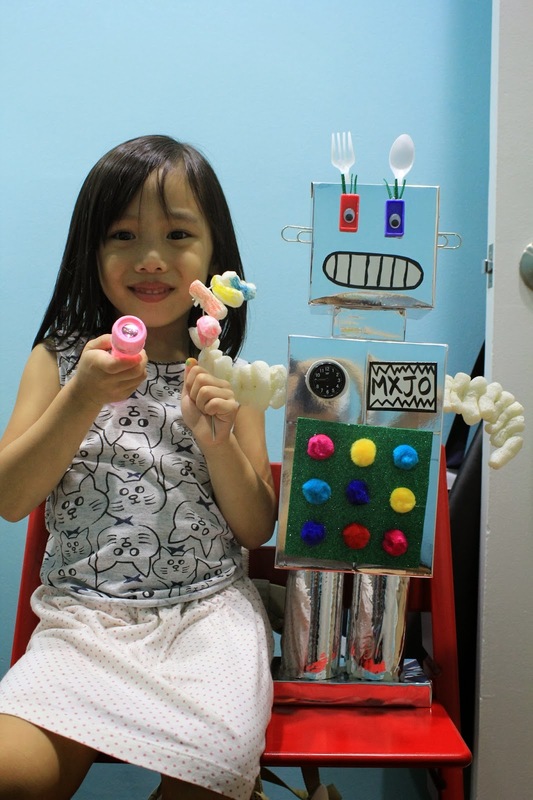 We decided on how we wanna design the face and body of the robot using random bibs and bobs that we have and Kiddo put together a name for her girl robot... she also insisted on adding eyelashes to make it look like a girl. 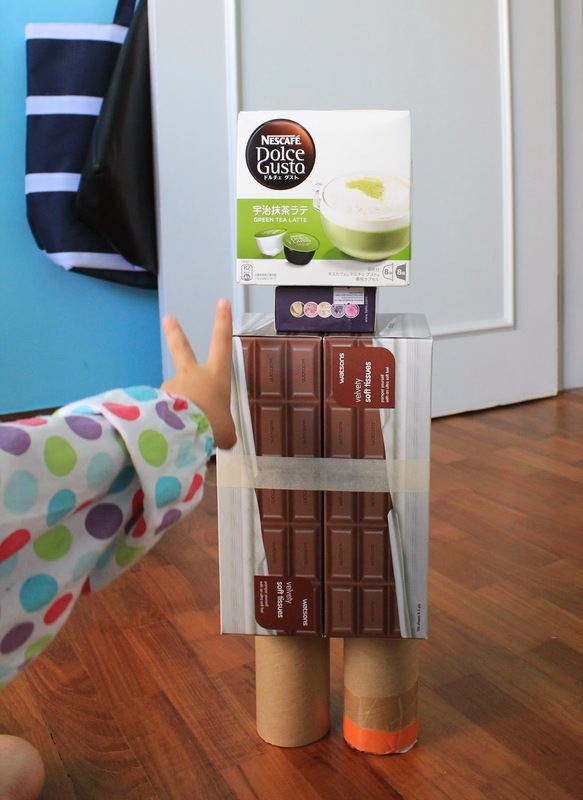 Kiddo made a marshmallow stick for MXJO using the packaging peanuts that I kept. 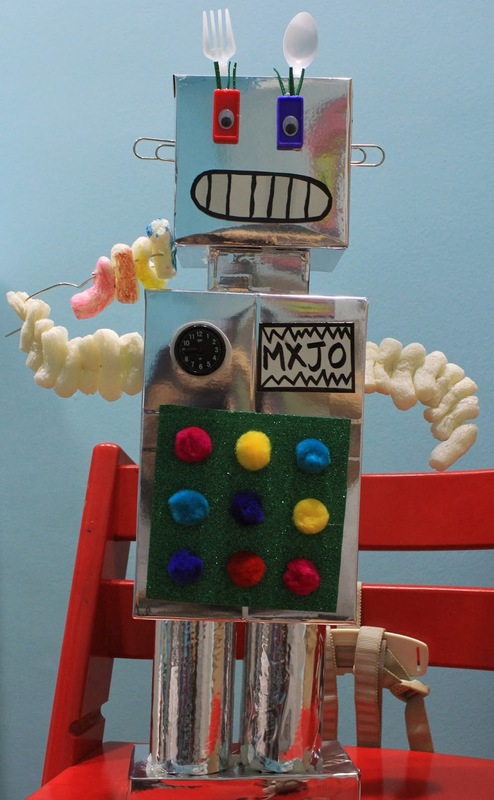 We also used the same foam peanuts for the arms of MXJO. Oh yes, I untwisted the jumbo paperclips and pushed the foam peanuts through for the arms.